This extraordinary story about a most unusual collection of mummies including giant ones and rather alien-looking ones is not a story from the 1800s or early 1900s. This is from the 2000s. And it will be told by the person who took the photographs, a researcher I highly respect. Be prepared to be amazed. 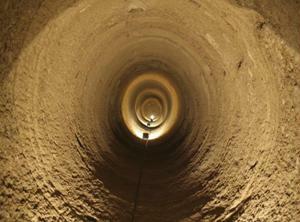 This is the story about a cavern in Spain. A relative was in charge of projects in a province in Spain. He had many friends and connections. He had asked me if I wanted to see a cavern full of mummies underneath a church. I did not have time at that time and it was two years later when I managed to get in there for a look. The mayor of the village unlocked the church and let us in and said if we were discovered there, he would deny letting us in. What follows is a short summary of the events as seen by my own eyes and related to me by the mayor of this village. 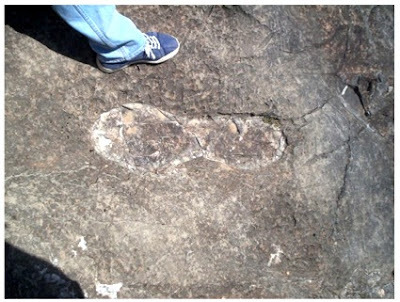 A medieval church was built over a Celtic-Iberian high ground/holy place and after construction the priest noticed a hollow sound when walking across the floor. Fearing a safety issue he had a hatch cut through the floor to access what was going on and sure enough a slight cave in revealed a cavern below the church filled with fully dressed men, some over 4 meters tall (13 feet) all perfectly preserved and standing with a look of horror forever frozen on their faces. These guys predate Roman times yet they were not mummified and their clothes and personal effects were still in place. 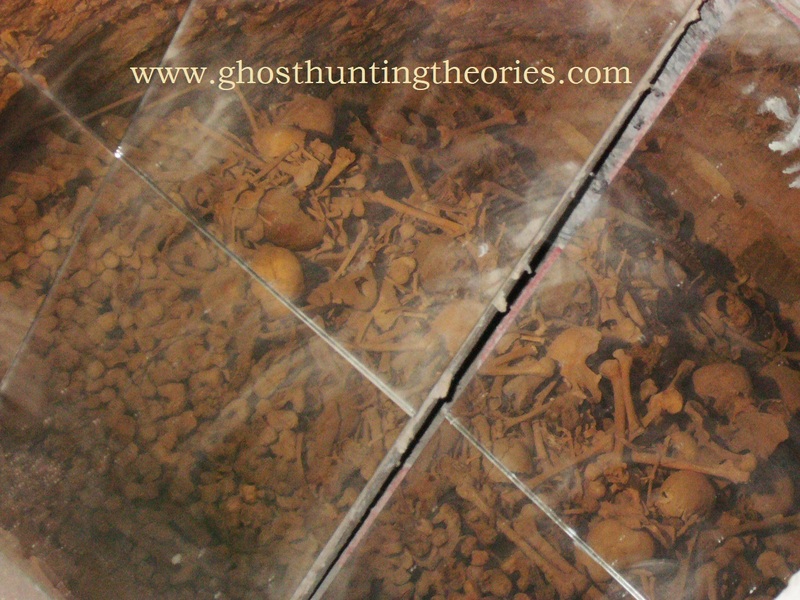 Investigation by church authorities revealed that even the internal organs were intact indicating that whatever killed them completely wiped out any and all living organisms including micro organisms preventing the natural decay as is common with a dead body to occur. The mayor of the town stated that in the church record was written accounts of medieval medical students from all around coming to study gross anatomy due to the exceptional preservation of the bodies. It wasn't until the bodies were handled that they began to show signs of normal decay. 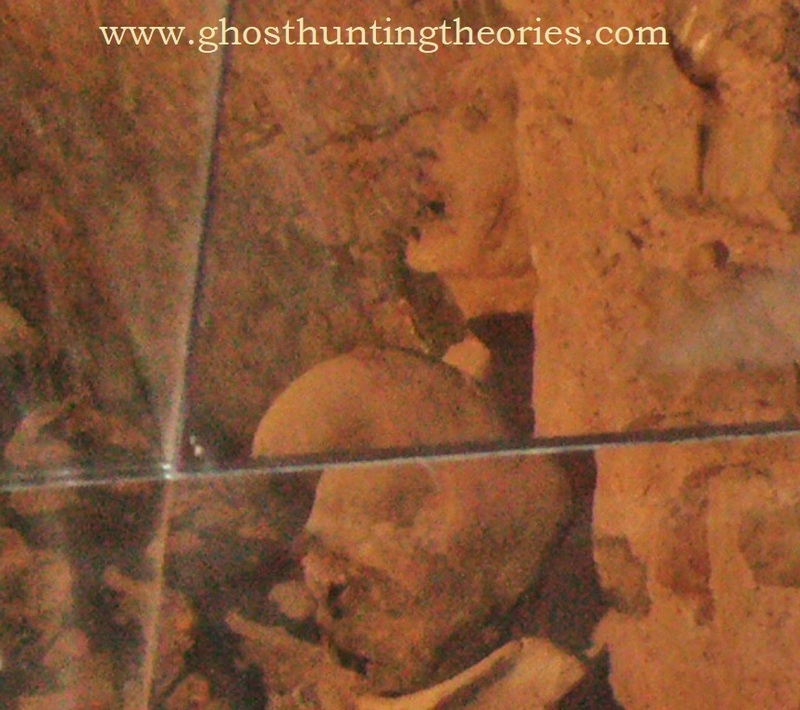 The Spanish government, at the time I got to see this, had moved in and began studies along with the hauling off of all the remains much like the Smithsonian does here. The photos are taken through a glass pane they installed and if I had gone there two years earlier, I would have been able to descend into the pit on the same ladder constructed in medieval times to go down and survey the area. 2. 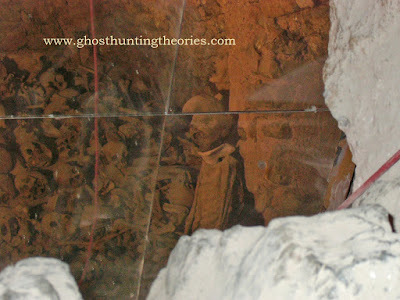 Elongated head mummy was fairly tall, but beside him is a 4-meter tall headless one. 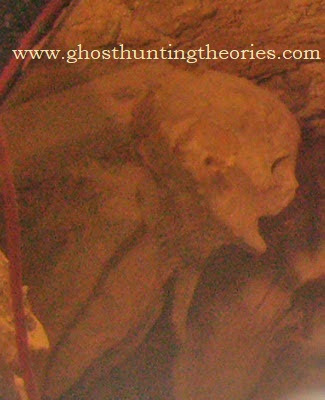 From the photos you can see conical shaped heads (photo 3), a short guy with a round ET type head (photo 4) and just behind him what appears to be a normal human being with head back and frozen forever in a scream (photo 5). 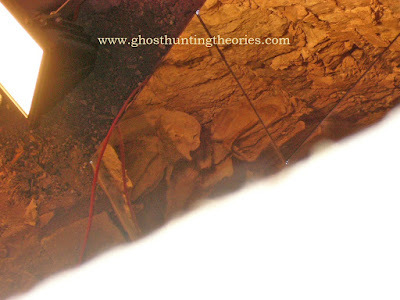 This guy still had flesh on his lips and in fact was fully fleshed at the time of the photo, again no process of mummification and over 2000 years dead at the time of the photo. 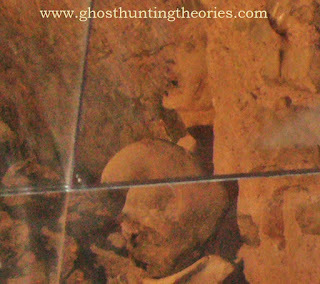 A giant can still be seen at the far left of one of the photos and from what I understand, the standing giants were all beheaded. Having a background in anatomy and physiology for medical training in respiratory therapy, I could plainly see skulls, femurs and other long bones a good 2x larger than my own along with a mix of normal-sized ones. Skulls ranged from normal size and shape to much larger and some were conical with a marked difference in size and volume. That is about it in a nutshell for that particular location. Not far away from there my relatives had a place in the outskirts for weekend getaway. There is a wall around an area there that is so huge in height and thickness it makes no sense. I asked another relative the history of it and he stated, "no one knows for sure when it was constructed but it was constructed by giants". I will have to get some photos of that place next time I am over there. The wall encompasses a vast area now used for agriculture. The overburden has filled in over the years hiding the true height of the walls yet they are still so impressive as to completely dwarf any piece of farming equipment passing through the portals where massive gates once stood. When the Bible talks about walls of a fortress where a team of chariots could race around the top, these make those seem small. The stones are quite large used in the construction, nothing like Baalbek but impressive none the less. I have no problem thinking normal-sized men could or would construct such a large, thick and tall wall but it all falls apart when you look at the size of the doorway or the portals for the gates, no logical purpose for such a large opening save to accommodate a person or entity of that size. Sharon Day: This account had me thinking about other megalithic structures in Spain. 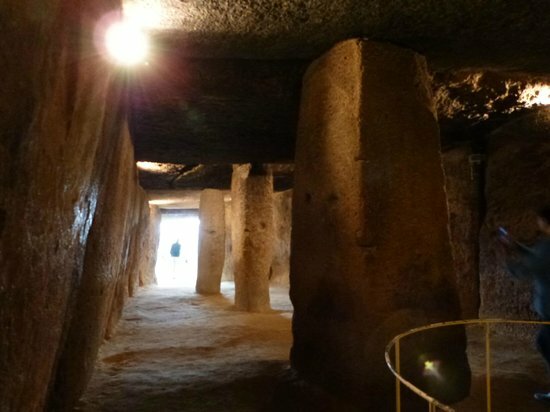 There is a notable one called the Dolmen of Menga from the third millennium BC. 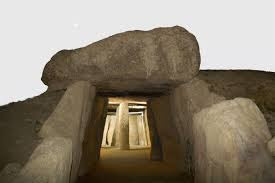 (Wikipedia) The Dolmen of Menga (Spanish: Dolmen de Menga) is a megalithic burial mound called a tumulus, a long barrow form of dolmen, dating from the 3rd millennium BCE. It is near Antequera, Málaga, Spain. 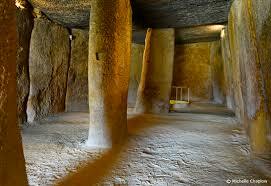 It is one of the largest known ancient megalithic structures in Europe. It is 25 metres (82 ft) long, 5 metres (16 ft) wide and 4 metres (13 ft) high, and was built with thirty-two megaliths, the largest weighing about 180 tonnes (200 tons). 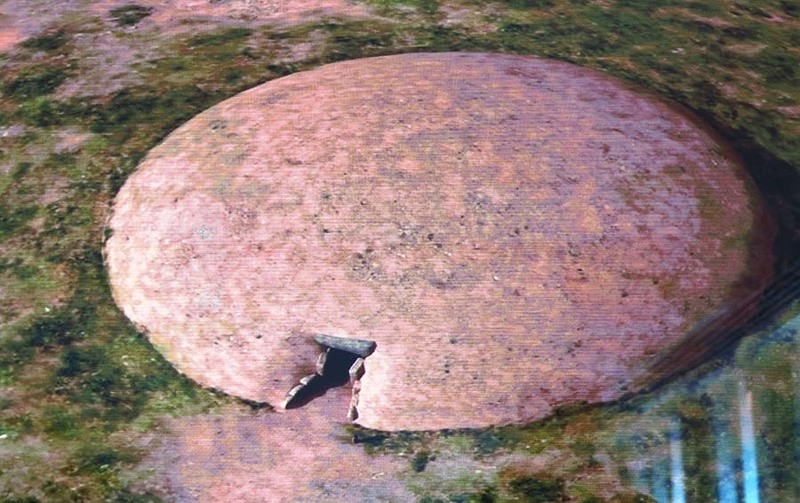 After completion of the chamber (which probably served as a grave for the ruling families) and the path leading into the center, the stone structure was covered with soil and built up into the hill that can be seen today. When the grave was opened and examined in the 19th century, archaeologists found the skeletons of several hundred people inside. In 1917, it seemed, were discovered, among other pieces, femurs of 70 to 92 cm long.While there is much confusion about the veracity of the finding, the researcher Fernando Ledesma in his book The Cerdanya, emerald Pyrenees Magic ensures that found seven skeletons of the human species in the dolmen I, of great importance. Next, I had to ask myself how it would be possible for all living forms in the cavern to die at once, both bacteria, virus, humans, insects, anything that might cause deterioration and decay. There only answer I could think of immediately was a 100% oxygen environment (LINK). But, that is not something that would just occur naturally. Chlorine gas is another way that microorganisms and humans could die together in a space. (LINK) Chlorine is a highly reactive element which practically does not exist by itself in nature, but only in combination with other elements. In some rare situations, such as in human tears, free chlorine as such can be detected. 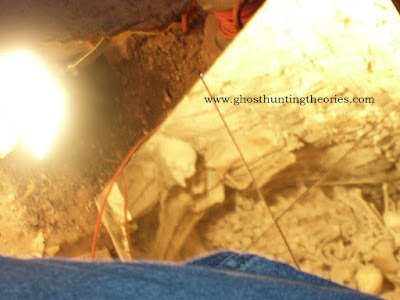 Expect me to continue with other modern-day finds of giants and mummies in caverns and the like. This is by no means the end of the finds, as a population such as this had the earth as their homeland and they are scattered everywhere, showing up in native legends around the globe with the same repeated themes. Were their giants? Yes, there were.